To provide life-transforming empowerment experiences that help students improve their Academic, Personal, Professional, and Social (APPS) outcomes. Student members are paired with Empowerment Coaches (eCoaches) from within the school community. eCoaches include teachers, school safety agents, school administrators and/or school aides. Everyone commits to weekly Empowerment Sessions (eSessions) addressing the issues and challenges faced by our members both inside and outside of school. •We build their confidence by honoring their backgrounds, experiences, and stories. •We provide a safe space to share their challenges and issues in order to receive support from their coaches and peers. • We help students develop the mindset and skills that will allow them to be successful beyond their expectations both in school and their personal lives. The AIMHigh Empowerment Institute serves as a success, retention and graduation initiative where our members are able to improve their academic, personal, professional and social performance. We will accomplish this purpose through seminars, forums, programs and social activities that provide access to mentoring, community service initiatives, college preparation resources, career readiness, family engagement strategies, educational empowerment, and advocacy. 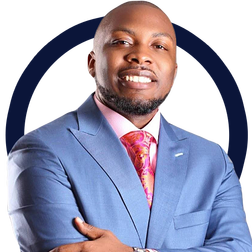 Sherman Browne is game-changing personal growth expert, dedicated to empowering the masses to unlock their potential while activating their legacy. 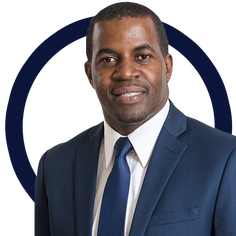 Through a successful nexus of works in business, education, government and community relations, Sherman delivers provocative insights and strategies that positively advance society through his personal, professional and humanitarian endeavors. As the CEO of AIMHigh International, LLC, a global social enterprise and consulting firm, Sherman has established himself as a sought-after authority on leadership, personal and organizational achievement systems, mental conditioning, peak performance and youth & millennial empowerment strategies. Dr. Wright has worked in Higher Education for over a decade. He served in varying capacities including Academic Advisor, Adjunct Professor and Dean of Admissions. In 2007 he founded the Male Empowerment Seminar and in 2014 cofounded the AIMHigh Empowerment Institute . 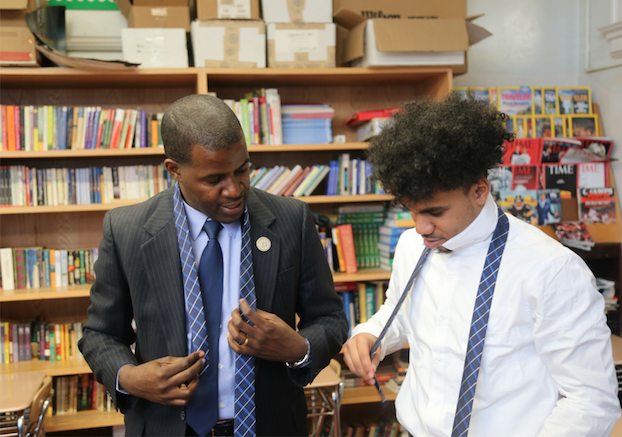 These empowerment initiatives have resulted in over 2,000 minority male students receiving mentorship and coaching from successful male professionals leading to improved academic outcomes for these students. "Our approach is rooted in the belief that to counteract and conquer the negative images, stereotypes and stigmas that dominate our media about young men of color, we must focus on providing young men with positive images and shining examples of individuals "
A few months after the death of his beloved grandmother, who expressed regret for not accomplishing some of her aspirations, Sherman Browne decided to begin a weekly video series to encourage viewers to live their dreams by pursuing their personal Ambition, Inspiration and Motivation. He named the series AIMHigh Insights. The weekly video series picked up traction and received repeated request by local school administrators for Sherman to conduct forums to encourage students on campus. The forums were deemed very impactful and became known as the AIMHigh Empowerment Forum. Dissatisfied with the consistent negative imagery portrayed in the media related to Young Men of Color, Sherman Browne and Dr. Cecil Wright partner to devise a plan to radically change the perception of young men of color and decide to develop a program to begin a global movement for Epic Impact. This was the birth of the AIMHigh Empowerment Institute. • 2014: The AIMHigh Empowerment Institute begins a pilot operation at a local church then later establishes an additional site at Monroe College. 50 Young men are officially inducted (Legacy Cohort). The AIMHigh Empowerment Institute completes its first year with a 95% Retention Rate. Another set of 50 Young Men are then inducted.